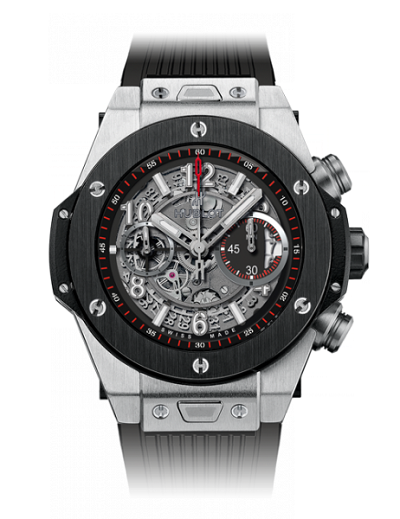 If you have $16,000 to drop on a watch, then you might want to consider this black-strapped little beauty from Hublot. I love the sporty take on their classic design elements: it features a matte-black, skeletonized dial, three sword-shaped, luminescent hour, minute, and seconds hands, and luminescent index and Arabian hour markers, and it’s mounted on thick, black rubber straps with a heavy-duty clasp. 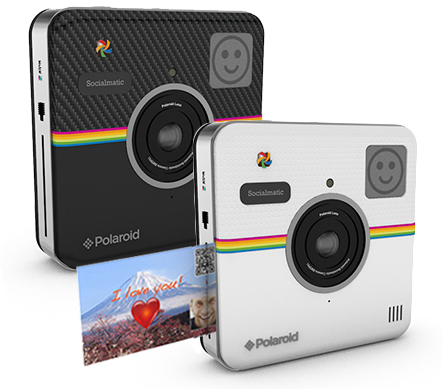 If most of your pictures end up on a social network like Instagram, Facebook, or Twitter, then you’ll like the Polaroid Socialmatic. It comes with WiFi connectivity, Android installed, and a 4.5-inch touchscreen, so you can load it up with all your favorite apps for photo sharing. It also features a built-in printer that prints two- by three-inch snaps to distribute by hand. 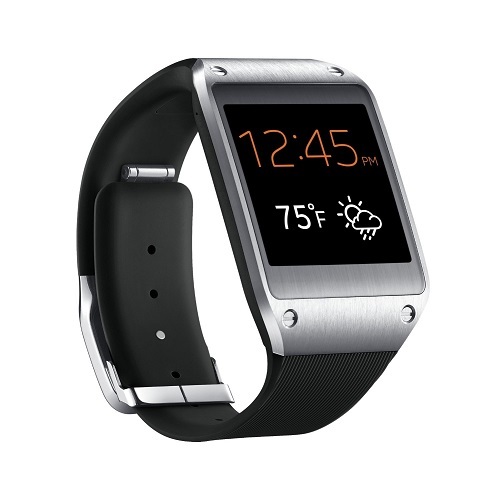 I actually have to wonder if this was intentional to create viral trolling, or if someone at Samsung actually thought it would sell the watch? 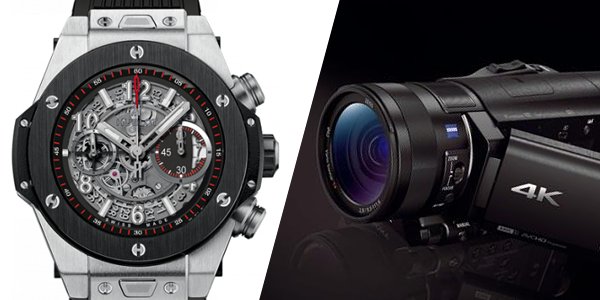 Well, either way, the watch is actually pretty cool. If you haven’t seen a 4K TV yet displaying 4K video, you’re going to be blown away when you do. The picture is so vibrant and crisp it’s like you’re looking through a window at the actual thing. The problem with these TVs at the moment, however, is the lack of content to take advantage of it. Well, with the Sony FDR-AX100, you can just make your own. This remarkable little video camera is capable of capturing ultra HD, 4K video with a 14 megapixel sensor, a Carl Zeiss lens, and a BIONZ X processor. 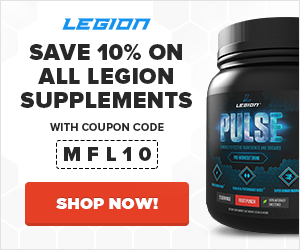 It also has built-in WiFi and NFC (near field communication) connectivity, so you can pair it with your phone, which can then be used as a remote control. I saw Lone Survivor last weekend (PLEASE EXPLAIN WHY THEY DIDN’T JUST HAVE THE GOAT HERDERS MARCH WITH THEM UNTIL THEY MADE CONTACT WITH THEIR BASE?) 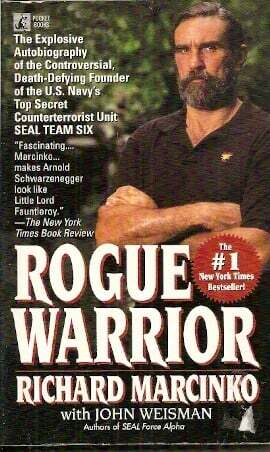 and it reminded me of this book, and how enthralled I was with Richard Marcinko’s crazy antics as a SEAL. This book chronicles Marcinko’s harrowing missions across Vietnam and other theaters of war, as well as his prodigious rise through the Navy ranks. This is the guy that created and ran both SEAL Team SIX and Red Cell, so you know he has some stories to tell. My favorite part of the book was definitely his account of Vietnam, where he and his merry band of marauders cheated death so many times that Marcinko finally concluded that he must just be unkillable. This, then, inspired him to take on riskier and riskier missions, and his devastating success in these missions eventually convinced the Viet Cong to place a bounty on his head. If you like tales of superhuman toughness and resolve, you’ll like Rogue Warrior.